CLPHA supports the nation’s largest and most innovative housing authorities by advocating for the resources and policies they need to solve local housing challenges and create communities of opportunity. We frequently champion our members' issues, needs, and successes on the Hill, at HUD, and in the media. In these arenas CLPHA also advocates for legislation and policies that help our members, and the public and affordable housing industry as a whole, strengthen neighborhoods and improve lives. Click below for links to congressional testimonies, statements for the record, action alerts, comments to HUD and other federal agencies, and the latest information about CLPHA's multi-pronged housing advocacy. 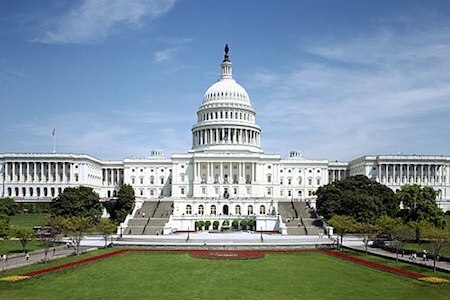 Congress is due to return to Washington, D.C., on November 13, one week after the 2018 mid-term elections. In addition to Senate consideration of judicial and administration nominees, and the expected finalizing of FY2019 funding for departments and agencies currently operating under a continuing resolution, a strong possibility exists that Congress will consider tax extension legislation. This presents a new window of opportunity for CLPHA members to advocate for two tax credit provisions that are very important to the preservation and development of public and affordable housing: the Affordable Housing Credit Improvement Act and the New Markets Tax Credit Extension Act. According to the ACTION Campaign—CLPHA is a member of its Steering Committee—House Ways and Means Committee Chairman Kevin Brady (R-TX) has indicated that House tax leaders are speaking with their Senate counterparts about tax extenders legislation that Congress could consider during the lame duck session. This is significant since Senate leadership had earlier revealed interest in taking up tax extenders this year, while House leadership was previously unclear. The ACTION Campaign asserts, “Should tax extenders advance as part of larger tax legislation this fall, which may also include technical provisions and other tax provisions, it may present an opportunity to advance provisions from the Affordable Housing Credit Improvement Act (S. 548/H.R. 1661). To position the Housing Credit as strongly as possible going into any potential negotiations in the lame duck session, ACTION encourages all stakeholders to continue conducting outreach to your elected officials to both urge them to sign on if they haven't already, and thank current co-sponsors for their continued support.” The ACTION Campaign also developed a website with advocacy materials for meeting with elected officials, including state and district level fact sheets along with other materials. In addition to the Housing Credit legislation, Reps. Steve Stivers (R-OH) and José Serrano (D-NY) are asking colleagues to join them on a Dear Colleague letter urging Ways and Means Chairman Kevin Brady (R-TX) to include a permanent extension of the New Markets Tax Credit Program in any tax legislation considered during the lame duck session. H.R. 1098, the New Markets Tax Credit Extension Act, which would prevent the expiration of a tax credit that draws investment to low-income communities, has already garnered 102 bi-partisan co-sponsors. The deadline for House members to sign onto the letter is November 9. CLPHA strongly encourages members to contact your Senators and Representatives and urge them to sign-on to H.R. 1661 in the House and S.548 in the Senate, if they have not already added their name to the list of co-sponsors. Here is a list of current House and Senate co-sponsors. When asking your Members of Congress to co-sponsor H.R. 1661 or S. 548, also ask them to support adding provisions from the legislation to any tax extender legislation during the lame duck session. Ask your House members to sign onto the Dear Colleague letter urging H.R. 1098 be included in any tax legislation during the lame duck session. Last week, members of the House and Senate were named to an appropriations conference committee on HR 6157, the third package of FY19 appropriations bills. This third “minibus” includes funding for Interior, Environment, and Related Agencies; Financial Services and General Government; Agriculture; Rural Development; Food and Drug Administration, and Related Agencies; and Transportation, Housing and Urban Development, and Related Agencies. The committee conferees will hold their first formal meeting on Thursday, September 13. Committee staff from the House and Senate majority and minority—the four corners—have been in informal discussions over the summer striving to reconcile the House and Senate versions of the several subcommittee bills included in the minibus. Having the conferees meet signifies real progress has been made towards a final agreement. Despite six scheduled legislative days remaining before the end of the fiscal year, conference committee action on the third minibus suggests there is a real possibility the FY19 THUD appropriations may be enacted before the end of the fiscal year on September 30. This would enable THUD appropriations to avoid becoming victim to a continuing resolution (CR) for funding. Any CR is expected to last at least until after the November elections for those federal agencies missing the September 30 deadline. Support the HCV Mobility Demonstration provision in the House THUD bill. The Disaster Housing Recovery Coalition is circulating a sign on letter for current and former federal, state, and local government officials in support of HUD’s Disaster Housing Assistance Program (DHAP), which FEMA continues to refuse to activate. DHAP was created after hard-won lessons from Hurricane Katrina, and it has been used successfully in major disasters since that time. DHAP is administered by housing authorities, and this national network makes HUD best equipped to quickly respond to the housing needs of survivors. Under DHAP, displaced families receive longer-term direct rental assistance and case management services provided by local housing professionals with extensive knowledge of the local housing market. 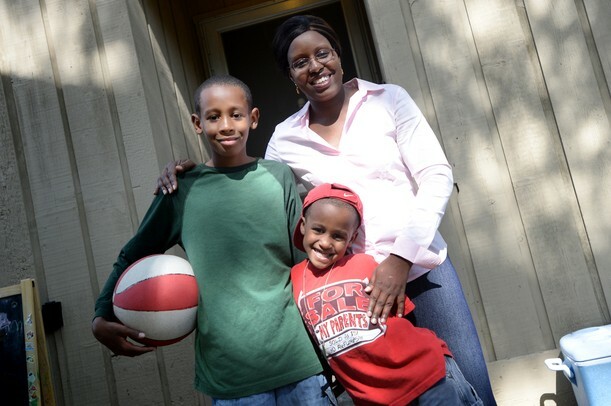 This assistance helps families find permanent housing solutions, secure employment, and connect to public benefits as they rebuild their lives. The Coalition is calling on Congress to enact legislation to immediately activate DHAP for 2017 disaster survivors and to ensure that this critical resource is made available to survivors after future disasters. CLPHA members are urged to reach out to current and former federal, state, and local officials with experience in disaster recovery in your communities and encourage them to sign the letter to Congress. A copy of the letter is here, and officials can use the link below to sign on to the letter. On October 11, HUD released the latest version of the MTW Operations Notice for the Expansion of the Moving to Work (MTW) Demonstration Program for public comment. The Operations Notice establishes the requirements for the implementation and continued operation of the expansion of the MTW demonstration, following its authorization in the 2016 Consolidated Appropriations Act. On August 16, HUD published a new notice, Affirmatively Furthering Fair Housing: Streamlining and Enhancements (the “Streamlining Notice”), soliciting public comments on amendments to the Affirmatively Further Fair Housing (AFFH) regulations. HUD had previously published its final AFFH rule in 2015, but implementation of the rule and its various assessment tools has since been suspended. HUD is now interested in making amendments to the existing AFFH regulations, as the previous requirements were found by the agency to be ineffective and overly prescriptive. On July 6, CLPHA submitted comments on HUD’s Notice for comment on potential changes to their Housing Choice Voucher renewal funding formula. Thank you to members who provided feedback. Please see below for our final comments and send any questions or comments to Emily Warren at ewarren@clpha.org. On April 17, the New York Times reported that HUD sent a proposed rule to Congress for a 15-day review period. 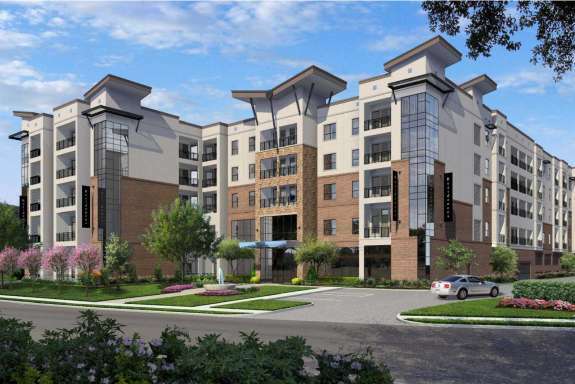 The proposal would prevent undocumented immigrants from living in federally assisted housing. The notice is not yet publicly available. Once the proposed rule is published in the Federal Register, CLPHA, the Immigration Working Group, and counsel Reno & Cavanaugh will host a call with members to solicit feedback and inform our public comments. CLPHA continues to be concerned by this administration’s punitive treatment of low-income immigrant families. In December, CLPHA submitted public comments opposing the proposed “public charge” rule. From conversations with Hill staff, it is clear that HUD’s primary defense of the new ACC is that the ACC is, and has always been considered, a grant and not a contract. CLPHA strongly disagrees with that interpretation of the ACC and in response we have prepared an additional, targeted set of talking points to address the issue of grant vs. contract. As you continue to reach out to your Congressional members, please feel free to use these talking points as a resource. Additionally, CLPHA has drafted legislative appropriations language that you can share with your Congressional Members. This is general legislative language that would cover all PHAs. CLPHA is also working with the MTW Steering Committee on MTW specific legislative language. Please continue to contact your members of Congress to register your opposition to the proposed ACC changes. Additionally, we ask that you encourage your Members of Congress to raise your opposition to HUD’s proposed changes with the Senate and House Appropriations committees, and the Senate Banking and House Financial Services committees. In comments submitted on February 25, CLPHA strongly objected to the changes on both procedural and substantive grounds. The notice proposes significant changes to the ACC, including changing the ACC from a contract between HUD and PHAs to a grant agreement and recapturing previously federalized funds through broadly defined “operating receipts” and “program receipts.” The proposed changes provide HUD with unrestricted authority over funding and access to PHA records and implements a new conflict of interest policy for PHA board members that may conflict with local laws. In addition to submitting comments to HUD, CLPHA cosigned a joint industry letter with PHADA and NAHRO. The letter outlines the groups’ principal concerns with the ACC rule and was sent to House and Senate congressional leaders.